SW-MOTECH KTM LC 4 Sidestand for use with original centerstand. SW-MOTECH KTM LC 4 Sidestand, super-strong steel construction features typical German design and high engineering standards. Superb integration with the factory exhaust and sidestand components — retains all existing features without sacrificing lean angle or clearances. All hardware needed to mount the sidestand is included. Typically installs using basic hand tools. No welding, cutting, or drilling of existing frame or body parts required. Tough powdercoated finish with some gray fittings or hardware as applicable. 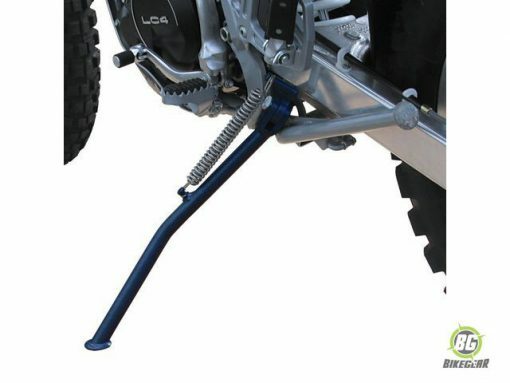 A double-retention spring is included as a safety feature to prevent the sidestand from contacting pavement if one of the two springs should fail during a ride. Designed to work with OEM components — we cannot assure fit with aftermarket exhausts or other accessories. KTM’s manufacturing tolerances for the bottom mounting point for this sidestand are fairly wide. 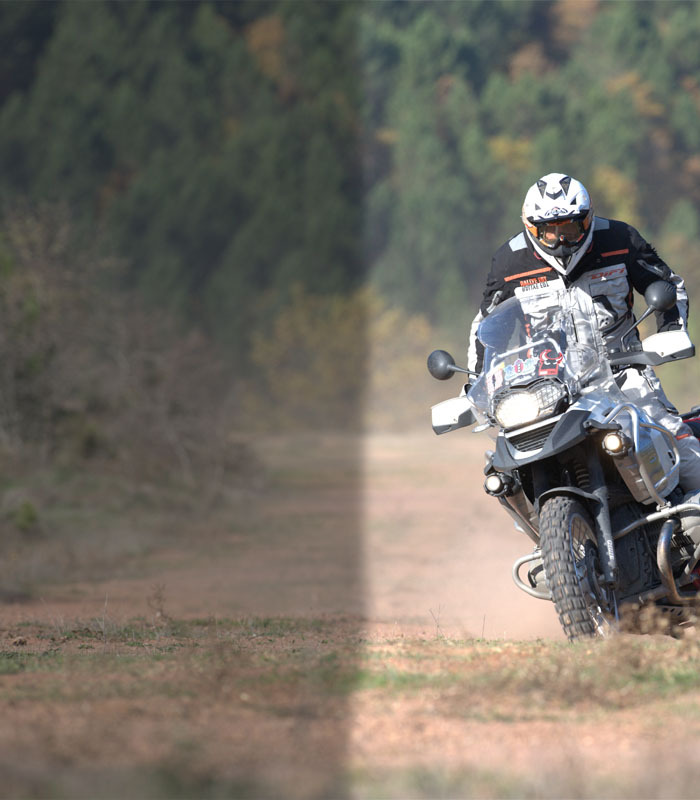 Approximately 2.5% of KTM LC4 bikes are manufactured by KTM with mounting points that do not line up with the mounting points in this SW-MOTECH sidestand. If it appears that your sidestand doesn’t line up with the holes in your bike, it’s not a problem with the sidestand – it’s a problem with the bike. Should your bike be one of the lucky 2.5%, please return the item to us in new, unused, uninstalled condition for a full refund. SW-MOTECH’s sidestand uses two mounting points to connect to the LC4. The bottom mounting point is the threaded end of an OEM centerstand bolt (“Bolt A”) that protrudes out of a hole in the frame of the motorcycle (“Hole A”). The upper mounting point used by SW-MOTECH’s sidestand is a hole in the LC4’s frame (“Hole B”). Since there is no room behind Hole B to place a nut, the mounting hole in the sidestand is threaded and cannot be converted into an oblong slot. In a few KTM bikes (about 2.5% of all KTM LC4 motorcycles), Bolt A is not centered within Hole A. KTM doesn’t consider the bike “off-spec” if Bolt A and Hole A are not concentric, because it doesn’t affect the use of the bike’s OEM centerstand. (2) Widen the bottom mount hole in the sidestand.